Interested in being among the first to find out about upcoming events? Send a message from the contact page so you can be added to our email list and receive timely announcements, special offers and more. Your email address will never be shared or sold. GET SOME KICKS at the Annual Route 66 Fun Run - May 3-4-5, 2019! Come for a fun packed weekend of camaraderie, cars and celebrations of the American icon...Route 66. Participants and attendees from all over the world along with the just about any vehicles on wheels are expected. As Grand Marshall, I will be in the lead car leaving Seligman at 10:00 am on Saturday, May 4 heading for Kingman. Between 2:00 and 4:00 pm, I’ll be at the Powerhouse Visitors Center for a book signing. 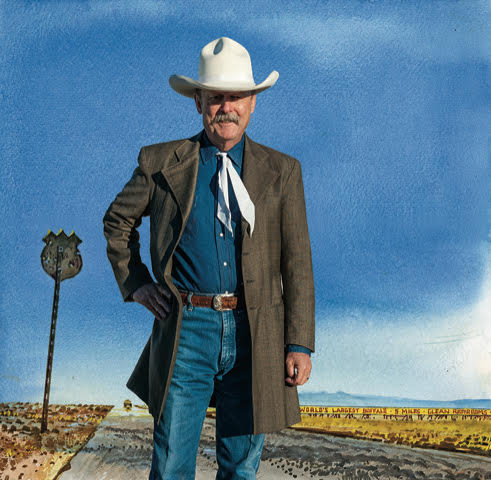 I’ll be bringing in three of my most popular illustrated books about the life and times of gunfighters: Wyatt Earp, Doc Holliday and Wild Bill Hickok as well as True West Moments. Currently, copies of “The 66 Kid”, all about my growing up on the mother road are available at the Historic Route 66 Association of Arizona Gift Shop; be sure to view my exhibition of the same name in the Museum. 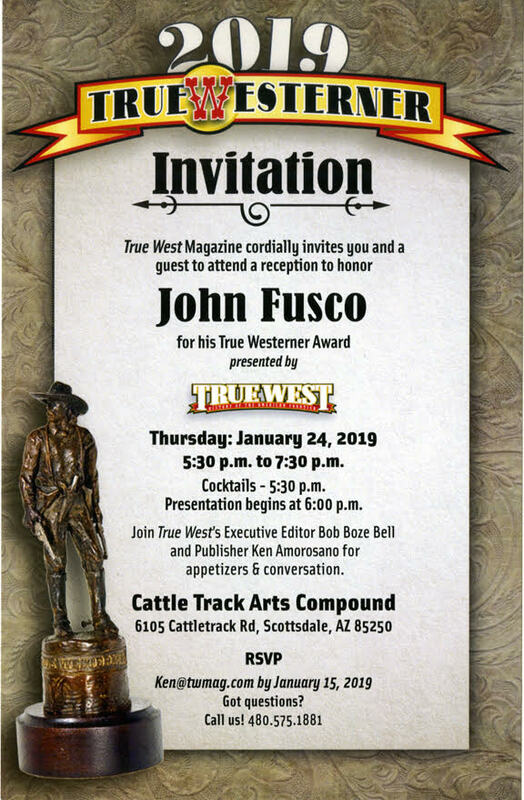 True West Magazine Executive Editor Bob Boze Bell and Publisher Ken Amorosano will present the 2019 True Westerner Award to American screenwriter, producer and television series creator John Fusco, perhaps best known for Young Guns and Young Guns II at the Cattle Track Arts Compound reception on January 24.